Dr. Michael Gimbel is an Assistant Professor in the University of Pittsburgh Department of Plastic Surgery. He graduated from Duke University School of Medicine in 1995. He joined the faculty in 2006, after completing general surgery training at U. Pittsburgh, Plastic Surgery training at UCLA, and Microsurgery fellowship training at UCLA. During his training, he also spent 3 years engaged in research in the UC-San Francisco Wound Healing Lab with Dr. Thomas K. Hunt, a pioneer researcher examining the wound healing process. Dr. Gimbel uses all phases of this extensive training to guide him in his clinical care and research efforts. Dr. Gimbel is active in the plastic surgery organizations, including having served as president of Greater Pittsburgh Society of Plastic Surgeons and on committees of several national organizations. He is the University of Pittsburgh Physicians Plastic Surgery section chief at Shadyside-UPMC Hospital and also serves as the department’s Microsurgery Fellowship program director. Dr. Gimbel practices general plastic surgery, with a focus on breast surgery as well as reconstruction after treatment for musculoskeletal malignancies. His breast practice includes breast reconstruction after breast cancer treatment, breast reduction, and aesthetic breast surgery. His reconstructive approaches have an emphasis on cutting-edge perforator-based techniques. Dr. Gimbel cares for patients at both Magee-Women’s Hospital and Shadyside Hospital. Dr. Gimbel has authored numerous research articles and book chapters. In addition, he has received many awards for research presented at regional and national meetings. 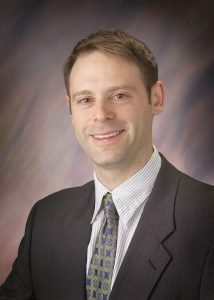 His current research efforts are directed toward clinical outcomes research in breast surgery, novel breast reconstruction surgical technique development, and innovative blood flow monitoring device development. Some patients arrive in the plastic surgeon’s office by choice, while many others arrive by necessity. Dr. Gimbel understands the different reasons why people decide to undergo surgery. He works hard to alleviate anxiety and promote understanding of the options and procedures available to patients. He feels that everyone should have a basic understanding of their treatment and realistic expectations of results.